Ulver has covered seemingly every genre under the sun, so it shouldn’t come as a surprise that the Norwegian collective has finally set its sights on pop music. It’s a sharp stylistic detour, even for Ulver, but what’s more shocking is that “The Assassination of Julius Caesar,” the band’s latest record, is the best material the band has produced this decade. That’s heavy praise, given that Ulver’s material is generally fantastic, but certainly well-earned. 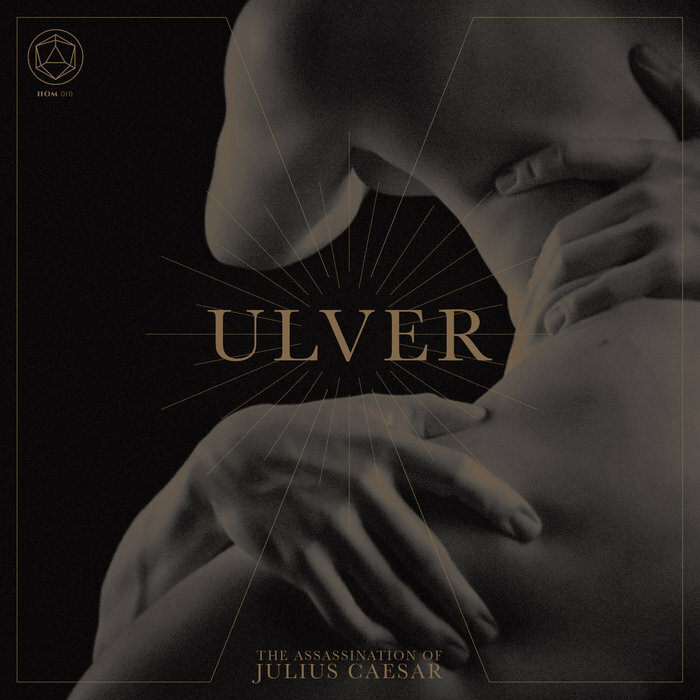 Though its title might suggest otherwise, “The Assassination of Julius Caesar” is a soothing blend of traditional synthpop and Ulver’s signature ambient soundscapes. It’s one of the band’s calmer records, but so astonishingly full of complexity and life to invite endless listens. This is best personified by “Rolling Stone,” faraway the record’s strongest track. The song flies by, despite its nearly 10-minute runtime, of which every second is pure bliss. Relatively brisk by the record’s standards, “Rolling Stone” gracefully ebbs and flows from psychedelic synth lines to soaring vocal lines—the work here is nothing short of jaw dropping—and back before concluding with a noisy electronica-infused outro. It’s a truly magnificent piece that sets an unbelievably high standard for the following six tracks. That the rest of “The Assassination of Julius Caesar” even comes close to “Rolling Stone’s” euphoric highs is a testament to the record’s excellence. Though the rest of the album don’t quite match “Rolling Stone,” nearly all of the pieces come so close that it hardly matters. The biggest surprise here is the vocals: This is frontman Kristoffer Rygg’s finest work since the band’s earliest records, and though he has always been a phenomenal singer, his vocals typically take a backseat to ambience and atmosphere on the majority of Ulver’s work. Here, he is given ample room to push his chords to the limit, and the results are consistently breathtaking. Rygg’s range is impeccable, and whether he’s providing laid-back bits on “So Falls the World,” poppy verses on “Southern Gothic” or darker quasi-spoken word lines on the exceptional closer “Coming Home,” putting his vocals at the forefront of the music pays off in dividends. The sole exception to this is “1969.” Here, the infrequent high notes are strained and grating. And … that’s it; that’s the only discernible negative in the record’s 44 minutes. Otherwise, the song, both vocally and as a whole, is remarkable. So, nearly all of the album’s vocals are among the best in Ulver’s discography. But that’s not to imply that Rygg’s enhanced presence mitigates the band’s atmospheric strengths. Ulver’s spacey beats and peaceful ambience permeate the record and are more varied and engrossing than ever. “So Falls the World’s” soft pace and wonderfully airy vocals make for an admirable song, but switch gears into fast-paced instrumental electronica before stagnation has an opportunity to even subconsciously set in. Examples like these are present throughout the record, and it’s this kind of attention to detail that separates acceptably good albums from the ones that will be remembered for years onward. There are strong psychedelic overtones throughout the record, and though Ulver’s past records were no stranger to trippy soundscapes, they’ve never been so well-integrated. Though that and the aforementioned complexity might suggest that “The Assassination of Julius Caesar” is a pretentious or difficult listen, that couldn’t be further from the truth. Every aspect of the album’s songs is simple and inviting enough to encourage easy listening, but full of natural and subtle nuances that beckon the listener back after many repeated spins. There’s definite potential for this record to become a classic, but arbitrary ratings aside, “The Assassination of Julius Caesar” is without a doubt the next logical evolution for a band that has been continually metamorphosing for over two decades. In other words, buy it.